Looking for a near-new Mazda in top condition, but don’t want to pay the new car price tag? 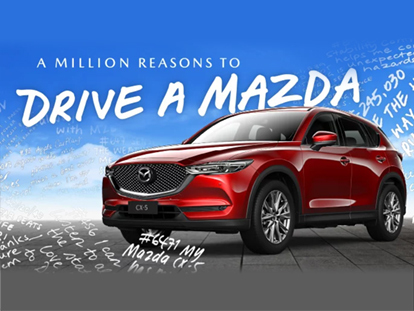 Australian Motors Mazda’s range of quality Mazda demos are the perfect solution. Our Edwardstown Mazda dealership has a range of demo Mazda vehicles for sale at low prices. Our professional team are more than happy to offer advice and support while you search for the perfect demo Mazda vehicle to suit your needs and budget.